Home › FAQ › If Your Parents Are Alumni of a University, Is It Easier to Be Admitted? As you approach the time for college, you may be wondering if parents are alumni of a university, is it easier to be admitted? The answer may depend, at least in part, on where you decide to apply. There are a variety of ways in which colleges can show preference for the children of alumni, some of which might be helpful when you seek college admittance. 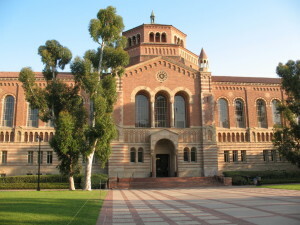 Students who are children or grandchildren of a university alum are often called “legacy students.” There is a fairly well established practice of giving at least some preference to legacy students, especially in more elite colleges and universities that may depend on large gifts from alumni, according to The New York Times. This seems particularly true in Ivy League schools where the children of alumni can make up as much of 15% of the student body, according to The Wall Street Journal. Ivy League universities tend to be very difficult to get into, and students of graduates have a much better chance of being accepted than students whose parents did not attend there. For example, the current acceptance rate for students of alumni at Harvard is about 30%, which is significantly higher than their normal acceptance rate. This practice has been called into question and often criticized by those who see this as an unfair or biased way of choosing students, particularly since generally speaking, these children of alumni do not always fare any better (and in some cases perhaps even slightly worse) on SAT scores. A recent study shows that at 30 “top colleges” under review, students had a 45% better chance of getting in if they had a parent alum. Some colleges and universities have a point awarding system for the students they are considering accepting, and students whose parents are alumni may be awarded points specifically because of that relationship. Sometimes points are also awarded to grandchildren, siblings or spouses of alumni, though generally fewer points. The question of “If parents are alumni of a university, is it easier to be admitted?” is a question that could be asked of other universities as well. Elite schools in the Ivy League and elsewhere aren’t the only schools that provide some admission advantages to students who can claim an alumni parent. You’re probably aware that many colleges and universities are more expensive for students who live out of state, which is why many students attend college within the state of their residency. However, some universities will waive nonresident fees for students of alumni parents. Other colleges might consider an alumni-related student as in-state even when they’re not, which might give them an advantage in the admissions process. Some colleges also have scholarship opportunities set up specifically for students with parent alumni. If you are interested in attending a university from which your parent graduated, it can be worth looking into whether or not there is some advantage in admittance practices or financial help available to such students. However, it wouldn’t be wise to count on a college acceptance based primarily on that fact. Many other factors are taken into consideration when students apply to colleges.